﻿ Real Madrid 1-0 Granada. Tougher than expected! 19.09.2015 » Real Madrid 1-0 Granada. Tougher than expected! Real Madrid are temporarily on the top of La Liga standings, after playing hosts to Granada in the Santiago Bernabéu and beating the Nazaríes 1-0. Karim Benzema scored the only goal of this game in the beginning of the second half and Navas secured his 5th straight clean sheet. 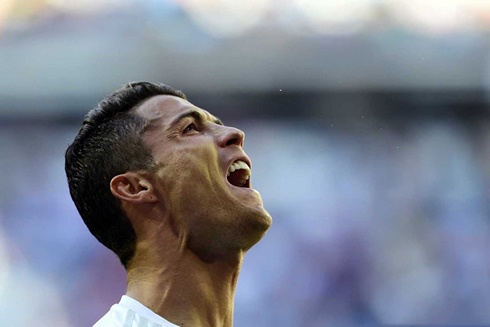 Though all the hype for Real Madrid's match up with Granada was centered around Cristiano Ronaldo potentially becoming the club's all time stop scorer, in actuality it was a tough test for Rafa Benítez's men, as a much-improved Granada side made things quite difficult for the Merengues at the Santiago Bernabéu by losing only 1-0 to Madrid. The hosts eventually found a way to crack their opponents this Saturday afternoon, but only after seeing a visitors' goal being disallowed by mistaken and witnessing Navas making several crucial saves that helped him keeping another clean sheet in his quite impressive start of the season. Nearing the end of last campaign, Real Madrid had a field day against Granada, winning 9-1 with Cristiano Ronaldo himself netting five goals at the Bernabéu for the first time in his career. This time around however, it was a very different story as a vibrant Granada team not only kept Real Madrid at bay for much of the match, but also posed a major threat of their own. This Saturday afternoon, Real Madrid grinded out a 1-0 win thanks to a second half header from Karim Benzema following a good assist delivered by Isco, but without the reactions of Keylor Navas at the back (still yet to allow a goal this season), it could have been a very different story for the Whites. On the other end, Granada would have their fair share of chances as well, forcing Navas to make a few saves to preserve the clean sheet. Youssef El Arabi and Success Issac in particular caused most of the problems for Madrid. Eventually the Merengues would find the breakthrough in the 55th minute, when a left-footed cross from Isco connected with the head of Karim Benzema on the far post. The Frenchman's close range header was enough to give Madrid what turned out to be a precious 1-0 lead. 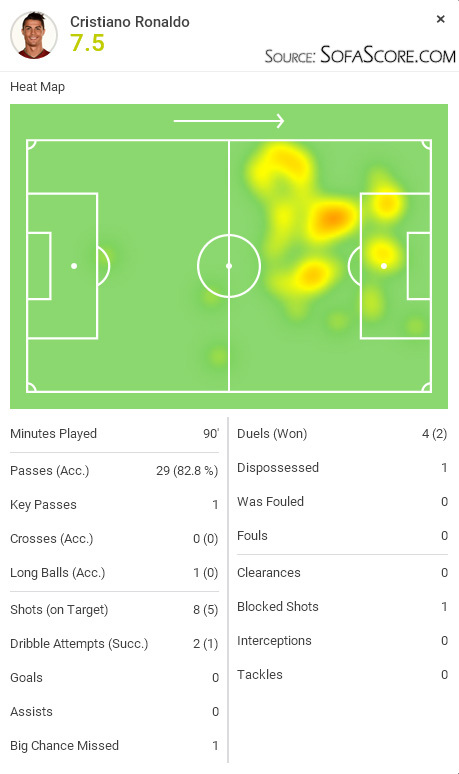 It would be a frustrating day for Ronaldo, who started the match being a bit too unselfish and struggled to find many clear-cut opportunities in the end. He'll have to wait a bit longer for his chance to break the record, with the next game against Athletic Bilbao at the San Mamés coming in just a few days. A few observations: Real Madrid finally have some depth this year and it was clear to see. Though the team was far from being as clinical as usual, their substitutes performed well enough to earn the victory. With four clean sheets to start the league season and five in total this campaign, the Real Madrid defense looks much improved. 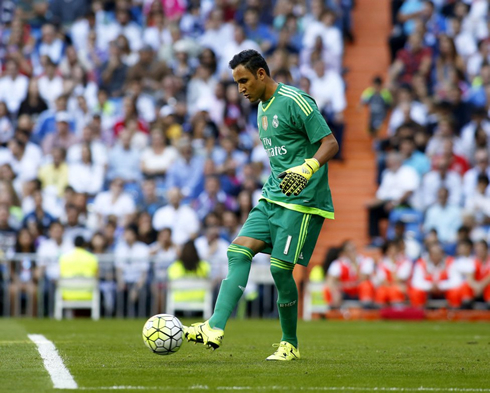 Keylor Navas has been superb thus far! Attackers: Lucas Vazquez, Cristiano Ronaldo, Benzema. Cristiano Ronaldo next game will be for Real Madrid on the 23rd of September of 2015, against Athletic Bilbao. You can watch Juventus live stream, Athletic Bilbao vs Real Madrid, Barcelona vs Levante, Southampton vs Manchester United, Tottenham vs Crystal Palace, and Liverpool vs Norwich City, all matches delivered in our live streaming section.